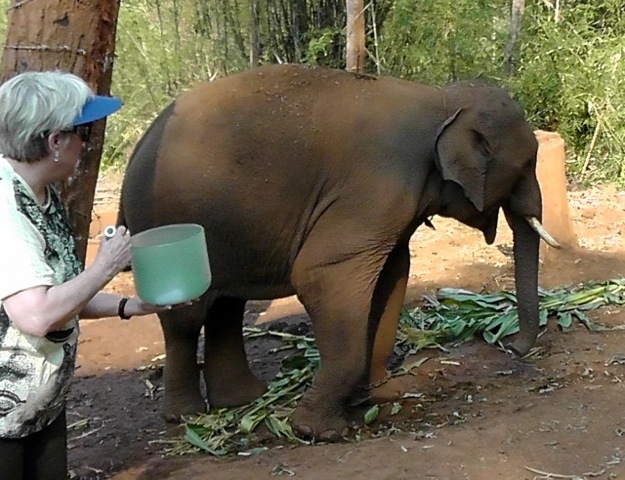 In April 2013 our dear friend Linda Chambers went to Chiang Mai Thailand for a sound journey with the elephants. 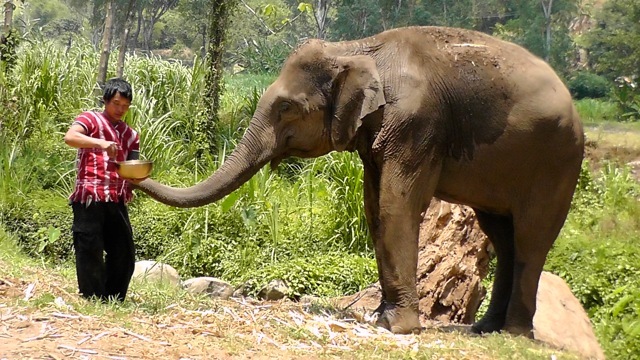 The Patara Elephant Farm was her destination. 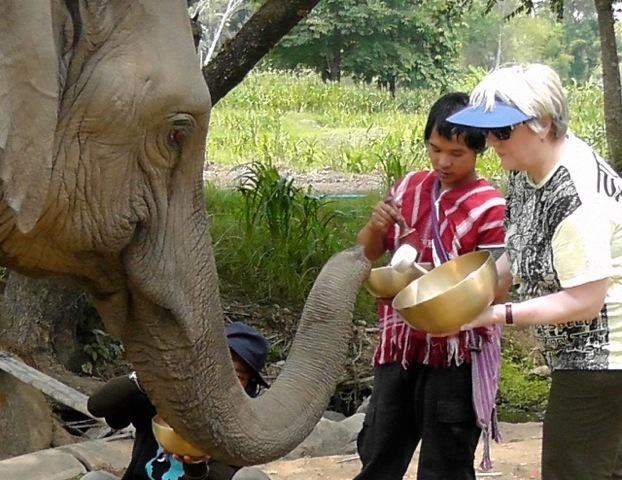 After visiting them on vacation last year and talking to them about sound therapy she was invited back to come work with the elephants. 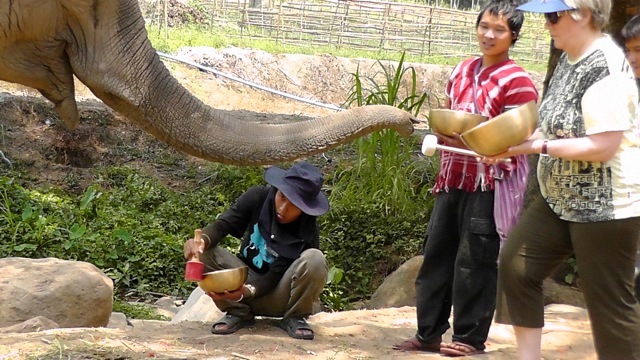 We customized Linda's sets for the elephants comprising of Zen Singing Bowls and Crystal Vibes Bowls. According to Linda and these photos it was a complete success. 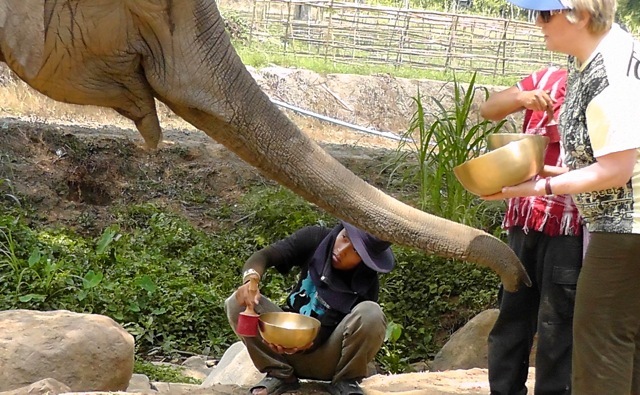 Who knew elephants would enjoy a sound therapy massage just as much as we do! "They are so responsive. SO responsive. I could not be happier. Seriously. The Mahouts learned today to play Lepidolite, Amethyst. 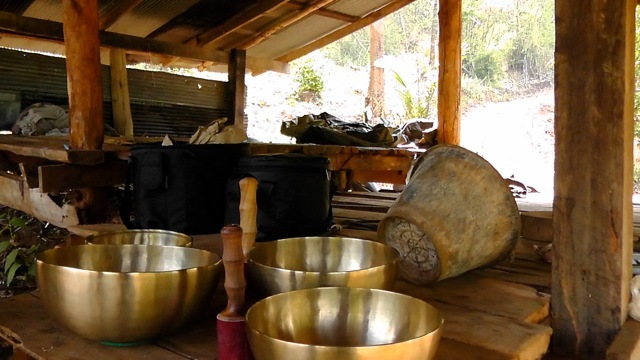 They have already been doing the Zen bowls a few days....you would CRY if you were here. "You can see the Mahoots learning to play the Zen Bowls. This is so awesome. I have not done anything with all the photos yet, but just thought I would share some amazing shots of the bowl with you. 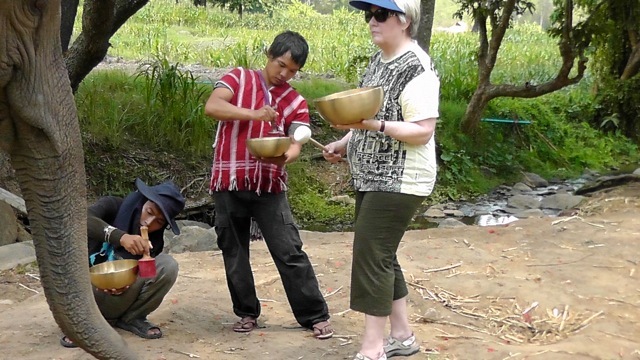 You can also see Pat the owner of Patara teaching them, translating what I was saying to learn to play the bowls. So much more information and blogs and so on coming! We have some outstanding videos. "